LASERSTIM (8 in 1) is a powerful combination therapy unit having 5 Low and Medium Frequency Modalities – IFT, MST, TENS, Dia Dynamic Current, Russian Current with Laser Therapy. A great value for physiotherapist starting a new clinic. Laser Therapy is the most modern method of treatment in physiotherapy. Patients respond very well to Laser Therapy compared to other electrotherapy modalities. Easy and Effective treatment of Myofacial Triggers , Soft Tissue Injuries and many Sports Injuries. Due to the principle of Bio Stimulation Laser Therapy work on cellular level. Hence it gives much better results in pain management. 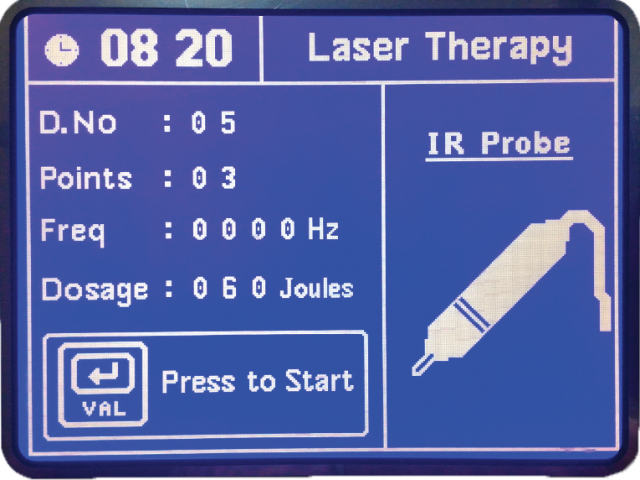 Laser Therapy can be given even for chronic conditions and even on top of implants and post operative pain. Laser Therapy is very effective in treating Diabetic Neuropathy. Laser Therapy is Non-Invasive, sterile and has no side effects. Big Bright Graphic LCD screen displaying all Clinical Parameters and Treatment information. Easy to select list of clinical pathologies for all modalities. User can easily select a condition and start the treatment. Portable and Light Weight ABS Plastic body – Easy to carry even for home visits. Soft touch buttons and Easy Rotate and Select Encoder Knob for quick and easy operation. 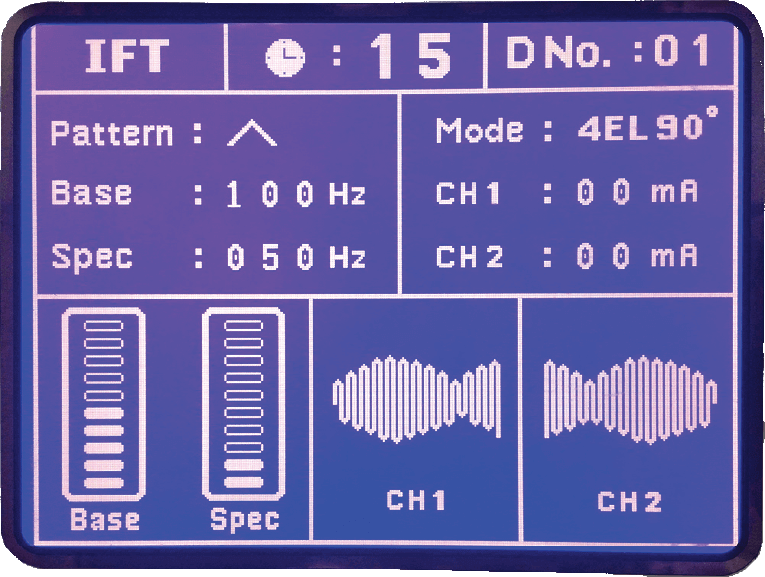 Precise Digital adjustment of Base and Spectrum with 1 Hz Precision. User Memory to store and recall favourite treatment protocols. Automatic intensity control makes LASERSTIM very safe to use by avoiding accidental wrong settings of intensity.